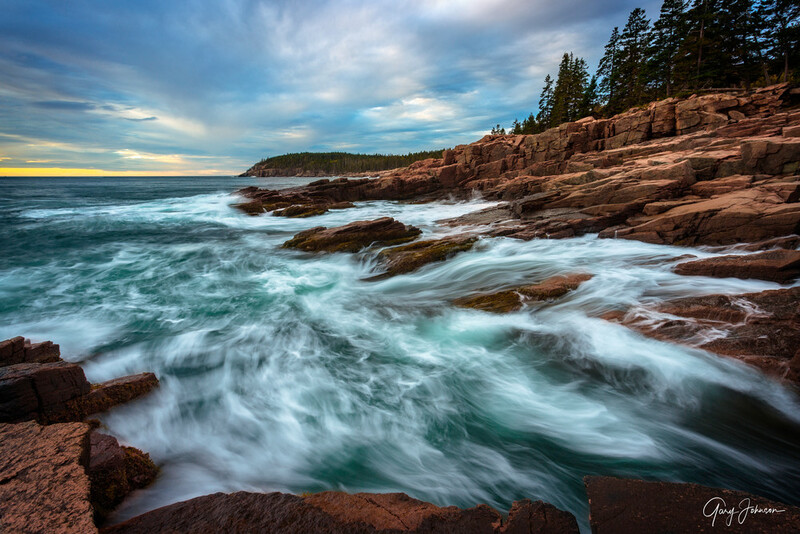 I photographed "Thunder Head Waves" on Mount Desert Island in Maine. I sacrificed my body by climbing over a fence to keep people from getting hit by a big wave. I loved how the waves rushed up on to the rocks and receded back into the Atlantic Ocean.